Doors - PRO Millwork, Inc.
Central Woodwork is a Masonite All Products Distributor (APD). As an APD, Central Woodwork proudly offers the full array of Masonite interior doors, entry doors, clear/decorative glass and various other components and accessories – serving all of your Masonite door needs. Central Woodwork’s goal is to provide the highest level of innovation, quality, product assortment and customer service to deliver the best overall value in the door industry. Central Woodwork proudly serves the Mid-South US. Central Woodwork and Masonite have partnered to provide you with the best overall program of interior and entry door systems available. 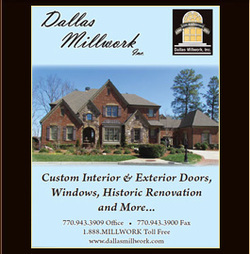 Dallas Millwork, Inc. has been manufacturing quality custom millwork, since 1996. 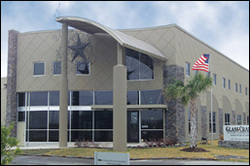 We are located in a 70,000 sq ft facility in Hiram, Georgia and currently employ approximately 50 craftsmen with over 700 years of product knowledge. We specialize in custom wood doors, custom wood windows, historical renovation and more. Many of our products are available a vast selection of wood species including imported exotic species. We also offer PVC material which is completely rot resistant. Simply put, Dallas Millwork works for you! WeathertightFolding Doors are complete ready to install systems. They include your choice of door style, hardware finish, frame options and thresholds. See System Design for these options. The clearly labeled system along with detailed instructions allows skilled carpenters to install these in just one day. We make bi-folding systems for a wide range of both residential and commercial applications. The Configuration Page shows our standard sizes but we can customize most systems to fit any opening. We also have the experience to tackle the most challenging jobs such as curved folding door walls and open corner folding door walls.